Singapore is blessed when it comes to cuisines. It is the amalgamation of Chinese, Malay and Tamil cultures and cuisines. The richness and diversity that each of these unique cuisines bring to Singapore is phenomenal. 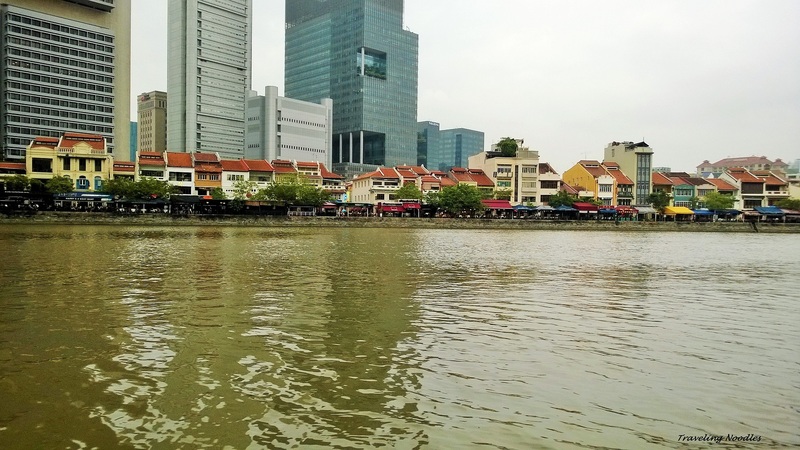 Singapore is now a much respected and coveted city that boasts of a quality of living that very few other cities can offer. 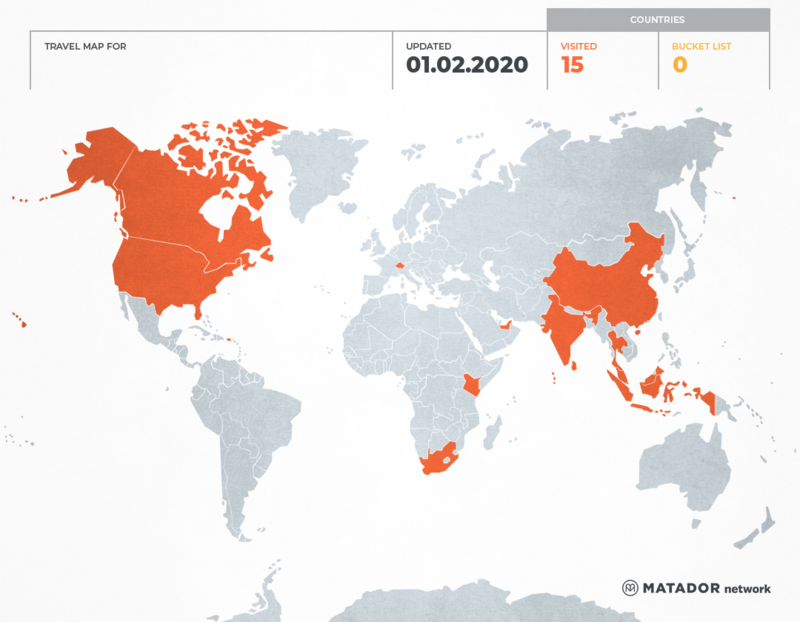 Present Singapore has expats from all over the world who have brought in their own cuisines with them. Hence one can find murtabaks, baklavas, french madelines and Japanese tempuras in the same food court jostling for attention and teasing your taste buds. Here is my attempt at encapsulating the wonderful gastronomic tour that is called Singapore. Soft, intricate, melt in the mouth parcel of yumminess aka dimsums. 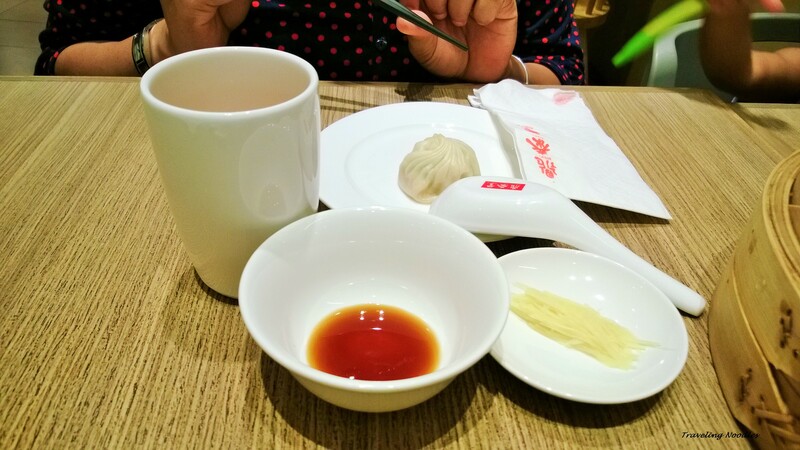 The best dimsums or momos as we call them in India that I found in Singapore were at a restaurant chain called Din Tai Fung. The restaurant is acclaimed for the intricately folded dimsums. Each dimsum is folded to have perfect 18 folds. The menu has a lot to offer besides dimsums but these succulent dimsums are a must have. Tea and coffee in Singapore is a delight as it contains one of my favorite ingredients, condensed milk! Condensed milk makes everything right. The cups that the tea and coffee is served in draws even a skeptic to give it a try . They are pretty vintage looking china cups with green floral designs. 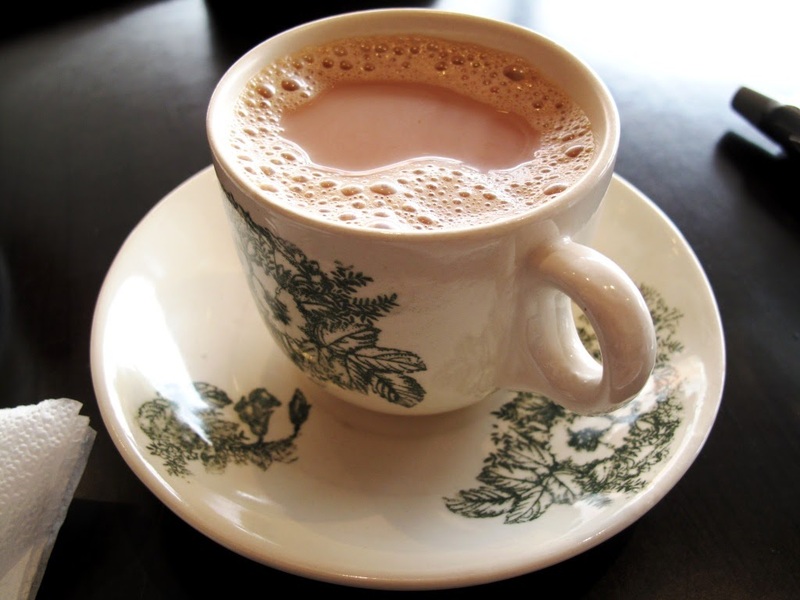 Teh is tea and kopi is coffee with milk for Singaporeans. Teh-o and kopi-o are black tea and coffee respectively. Another unique offering in Malayasia, Singapore and incidentally Kerala (India) is teh tarik or pulled tea which is made by an art of pouring and frothing tea by hand. Sit down to a breakfast of Kaya (a jam like spread made with eggs) toast and tea at any local tuck shop to start your day Singaporean style. 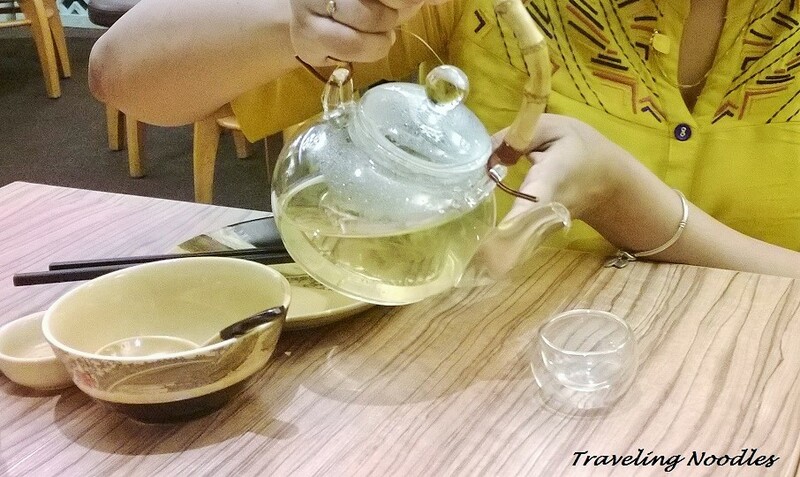 Chinese restaurants and tea houses across Singapore, serve Chinese tea which are sometimes medicinal. Nevertheless they are almost always refreshing and rejuvenating, especially with a heavy meal. Welcome to some messy eating and crab breaking apparatuses. It is one dish that makes you work towards actually eating it. Chilli crab is a unique dish which is packed with flavor. No crab loving human should pass it up for anything. 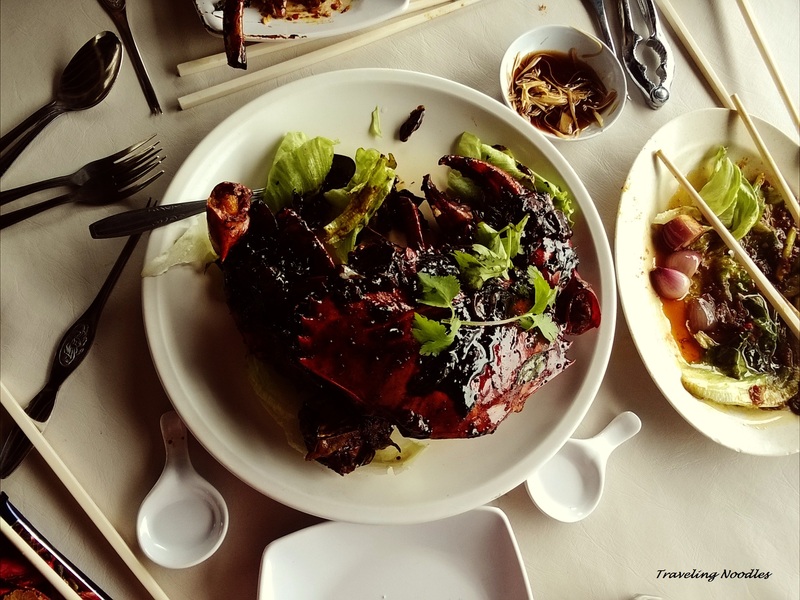 One of the recommended places to have chilli crab is at boat quay but there are many other restaurants and places that serve up a mean chilli crab. Little India is bursting with cuisines, dishes, clothes and everything Indian. This area is predominately a Tamil settlement and has some dishes and traditions that even India has forgotten in its past. Delicacies like the melt in your mouth Idlis at Murugan’s is a must for Indian food lovers. 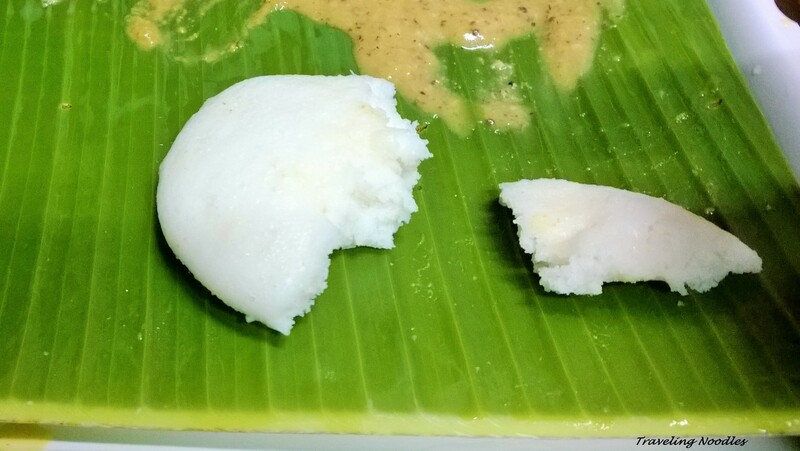 One plus for idlis is that it is a very baby friendly dish so it gets a big thumbs up from me. The idlis are just so right that this photo was clicked with the sole purpose of sharing our joy, after half of it was devoured. Fish head curry is another one of Singapore’s offering that is found in many restaurants that serve Tamil fare. Order up some hot rice and sambar and a plate of this spicy Fish head curry and simbly enjoy. Dempsey Hill is also rumored to have some amazing fish head curry. Telok Ayer market colloquially known as Lao Pa Sat is predominately a hawkers market with street food being served with beer. The vendors compete among themselves with annual satay competitions. Satay is a Malay version of kebabs and barbecues with different types of meat and fish. Most stalls have certificates proclaiming themselves as the record holders of the best satay or most satay’s cooked in an hour. 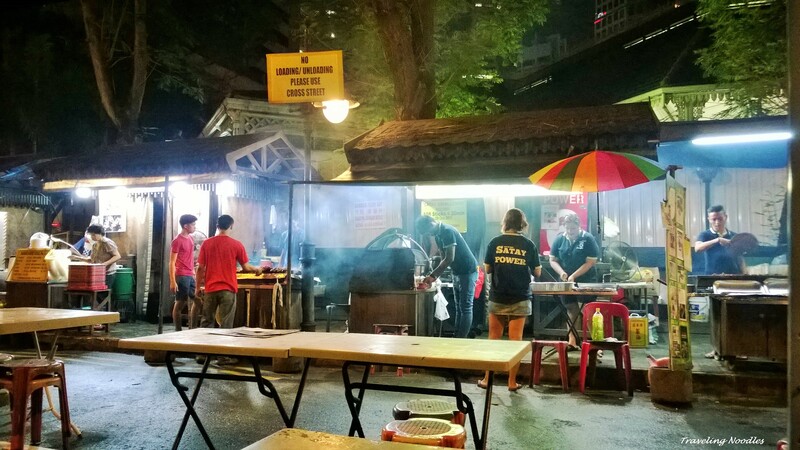 Stroll over to Lao Pa Sat for some authentic Singaporean street food. I can write poems and ballads for this simple Hainese chicken dish. 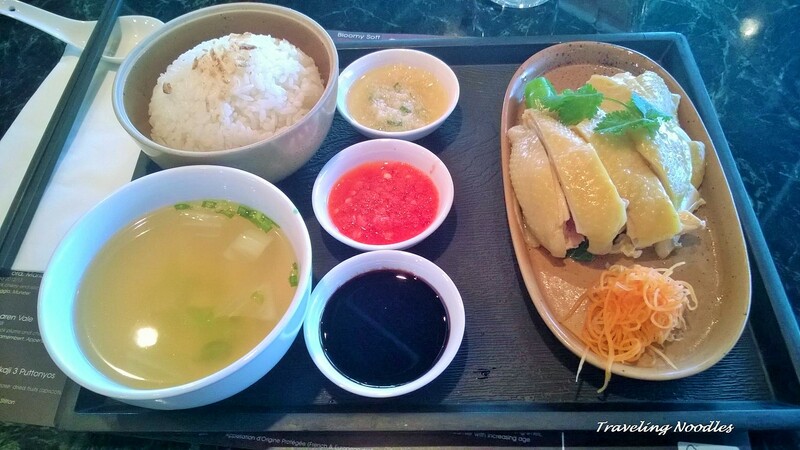 Chicken rice or Hainese chicken rice is found in most Tuck shops in Singapore. The longer the line, the better the taste. Join the next long line you see to enjoy this dish made with chicken stock, chicken, rice and pandan leaves, you will need to be early as the dish is notorious for getting sold out. For laksa which is a sea food soup with coconut milk base, head to Holland village. The soup is a meal by itself and ranks high in the comfort food category. 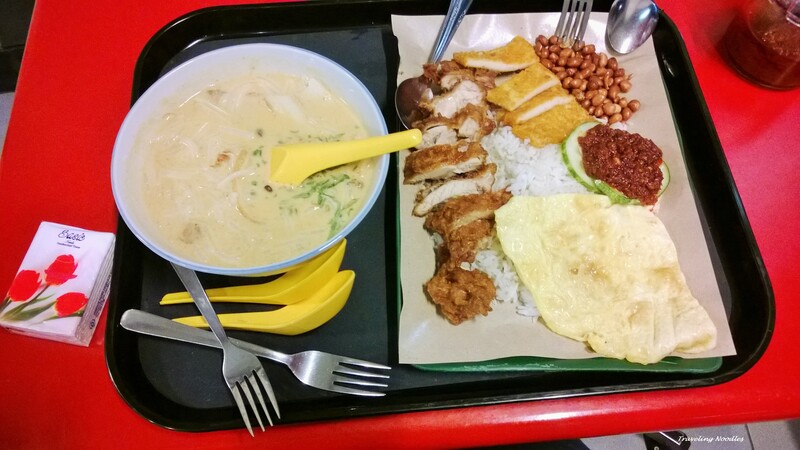 The dish beside laksa soup in this image is Nasi Lemak which is an Indonesian dish with rice, chicken, crunchy peanuts and wafers on the side. Singapore has a lot to offer for every tourist but the food in Singapore takes the dimsum. Although as a vegetarian I would neither be able to try most of the dishes mentioned here nor find them appetizing, just the way you described them makes my tummy growl!!! !